We are engaged in offering MEG (Mono Eethylene Glycols) across the nation. This product is formulated using high grade raw chemicals so as to offer best to our clients. These products find their wide application in different chemical industries. Moreover, we provide this product in varied sized packing as per the specification needs of the clients. 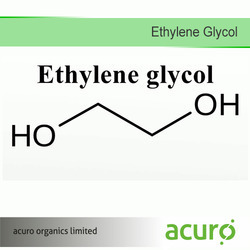 We are offering Mono Ethylene Glycol to our clients. Monothylene Glycol (MEG) is produced by the oxidation of ethylene at a high temperature in the presence of a silver oxide catalyst. Monothylene Glycol (MEG) The ethylene oxide is then hydrated to yield mono ethylene glycol with di and tri ethylene glycols as co-products. 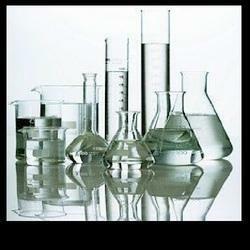 Description:Monoethylene glycol (Ethylene glycol) is a colorless, virtually odorless and slightly viscous liquid. It is miscible with water, alcohols, aldehydes and many organic compounds. MEG will not dissolve rubber, cellulose acetate or heavy vegetable and petroleum oils. MEG has a low volatility and it is 50% more hygroscopic than glycerol at room temperature.